Civil engineering is one of the foundation engineering disciplines at Woolacotts and is based on more than 80 years of experience. Our Civil team undertakes a variety of Community Infrastructure projects, including public domain upgrades, roadworks, cycleways, parks etc plus civil engineering associated with building projects, including flood assessments, stormwater drainage, bulk earthworks, roads, car parking and detailed civil engineering to achieve compliant access. 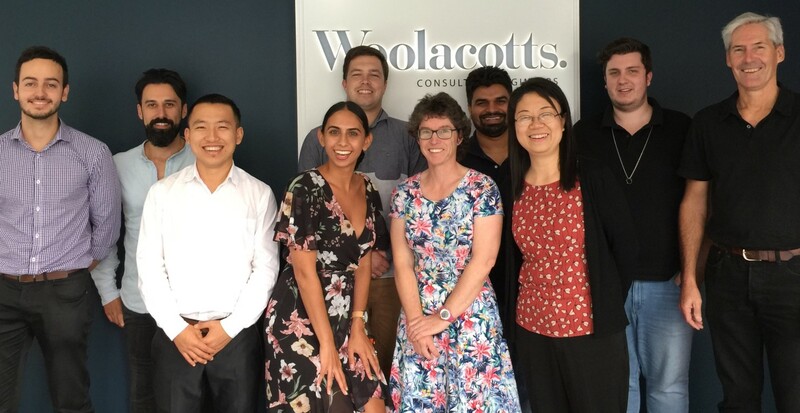 Key people within the current Woolacotts Civil Engineering Team include; Clare Woods; Justin Chirillo; Tim Cook; James Georgiades; Pradeep Shah; Jessica Kelly; Selina Cheng; Cameron Lucas and John Htet with overall support from Stephen Branch. Justin, Tim and Pradeep are our experts in Civil 3D modelling and have recently used this technology for the Rapid Build Prison in Wellington and the New Grafton Correctional Centre. 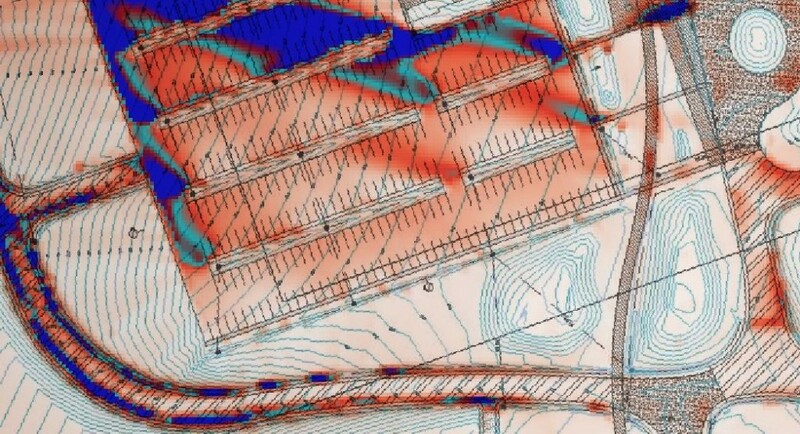 James Georgiades has developed skills in the use of TUFLOW flood modelling through work with the City of Sydney and modelling based on Civil 3D data for the New Grafton Correctional Centre. The image below shows output used to check overland flow velocities. Most of our clients know Clare through her role as Principal Civil Engineer at Woolacotts. She has been with Woolacotts since graduation in 1995, became an Associate in 2002 and Principal Engineer in 2008 and now has decided to retire from Consulting Engineering and to move into Local Government Engineering. She will take up the position of Development Control Engineer with Willoughby Council in mid-March 2018. Woolacotts wish her all the best in this new role and will be in contact to assist her and Willoughby Council where we can. We encourage all Clients to contact Clare and wish her well in her future endeavours. Most of our clients will also know Justin through his role as an Associate at Woolacotts. He has been with Woolacotts since 2002 and became an Associate in 2017. Justin is also a key client facing engineer responsible for project delivery clients and directing our civil designers, 3D modelling and drafting resources. His abilities in assisting our clients is legendary and he is keen to do more. Woolacotts will be supporting Justin in development of his skills and running the Civil Engineering team. Does your civil engineering team have the same passion for people and cost-effective solutions as Woolacotts? Stephen Branch (m 0417 508 833).